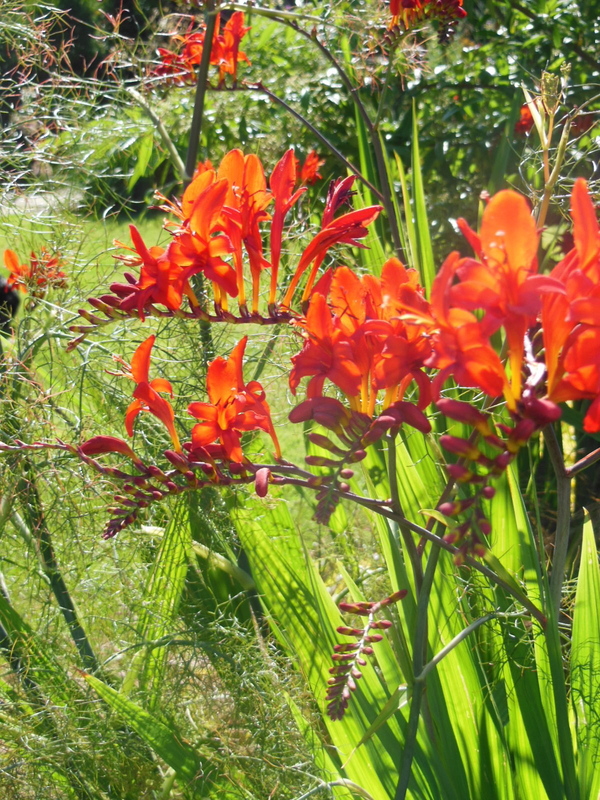 If you want bright, hot colour in the garden in July, Crocosmia ‘Lucifer is just spectacular. It’s incredibly easy to grow and looks good from when the leaf-spears emerge in spring to when it dies back into the ground in the autumn. A lovely perennial, it combines brilliantly with bronze fennel (Foenicullum vulgare ‘Purpureum’) or giant wild oats (Stipa gigantea).